Preventive maintenance includes regular service, inspections, and repairs, which prevent potential problems and keep a vehicle in good operating condition. Without proper care, the life of a car may be reduced by thousands of miles. For example, fluids can become contaminated and chemically alter after prolonged use. This can cause wear, corrosion, and the mechanical failure of parts. There is a wise saying that goes "You can pay now or you can pay later." In the automotive field, this means that you can pay a little now for maintenance or pay much more later for repairs. A poorly-maintained vehicle will wear out and break down sooner than a well-maintained vehicle. In the long run, car maintenance saves you money. When the seasons start to change, you prepare yourself and get your home ready, so it only makes sense that you would get your vehicle ready as well. Different seasons can stress different systems of a vehicle, or make a problem more apparent. For example, the constant use of air conditioning during warm summer months might reveal a compressor problem. During fall, problems with the heating system may become apparent. Therefore, your car requires varying forms of maintenance depending on the season. Typically, you can break service needs down to two times a year: summer and winter. You would prepare for summer in the spring and prepare for winter in the fall. No matter what season it is, Right Way Auto Repair in Hamilton Ontario wants to help you keep your car performing at its best. Please contact us online or call us at (905) 381-9285 for routine preventive maintenance for your vehicle, seasonal maintenance, inspections, or if something looks like, smells like, sounds like, or feels like trouble. 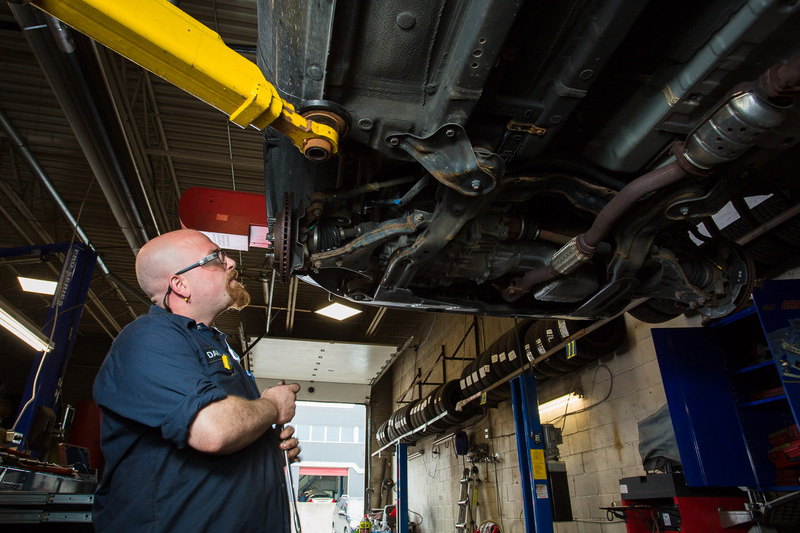 Our expert technicians will be happy to answer your questions and take care of all your vehicle needs!